Basically, nothing good happens except pleasing Trump’s base. The chances that Trump called a press conference to announce his newfound support for President Obama’s signature foreign-policy achievement are approximately zero. But that doesn’t mean the agreement, formally known as the Joint Comprehensive Plan of Action (JCPOA), will suddenly cease to exist — and Iran might not even resume its nuclear-weapons program. Much depends on the manner in which Trump scraps the deal, and how other countries react. Here’s what to expect. The 2015 deal — which was signed by the U.S., Britain, France, Germany, Russia, China, and Iran — lifted years of economic sanctions against Iran. In exchange Iran, which was on the brink of being about to produce fuel for nuclear bombs, agreed to strict limits on its nuclear program. Under U.S. law, every 90 days the president has to certify to Congress that Iran is complying with the deal and sanctions should continue to be suspended. Trump decertified the JCPOA in October, but punted the opportunity to impose deal-killing sanctions to Congress. They didn’t take up his offer. So the question now is how far Trump will go in reimposing sanctions, and what time frame he’ll offer. As the Washington Post explains, Trump could announce that he’s reimposing sanctions on the Iranian central bank as soon as possible. This would give companies and countries 180 days to stop buying oil from Iran, lest they face punishment from the U.S. Trump could go even further by putting sanctions on 400 Iranian individuals and businesses as well. The JCPOA does not outline any formal process for withdrawal, but either of those moves would mean the U.S. is violating its end of the bargain, and pulling out of the deal. It’s also possible that Trump will try some half measure in an attempt to push Iran into renegotiating a new deal. That could involve saying he’ll hold off on reinstating sanctions for one last 90-day period (which seems unlikely), or announcing sanctions but saying they won’t go into effect immediately. Either way, Iran probably won’t be receptive. Theoretically the JCPOA could continue without the U.S., and on Monday Iranian president Hassan Rouhani suggested that’s his intention. “We are not worried about America’s cruel decisions … We are prepared for all scenarios and no change will occur in our lives next week,” he said in a speech broadcast on state TV. 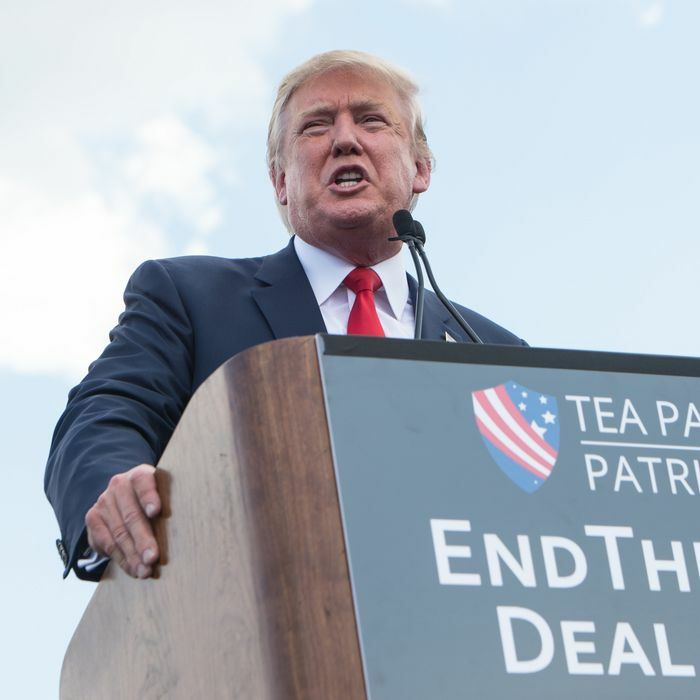 However, the JCPOA probably won’t survive for very long without the U.S. The deal did not improve Iran’s economy as much as some had hoped, and Rouhani is under pressure from Iranian hard-liners who want to sideline him and Tehran’s nuclear-weapons program. Last month Iranian foreign minister Javad Zarif, Iran’s primary negotiator on the JCPOA, told Face the Nation that Tehran could quickly resume its nuclear-weapons program if Trump scraps the deal. “We have put a number of options for ourselves and those options are ready, including options that would involve resuming at a much greater speed our nuclear activities,” Zarif said. Zarif also poured cold water on Trump’s calls for new deal. In a video posted on social media last week (complete with a real-estate metaphor for one special viewer), Zarif said Iran would not “renegotiate or add onto” the accord he and other diplomats spent two and a half years putting together. Rouhani and Zarif are working to make it clear that Iran is the victim of Trump’s whims, not that the other countries involved in the deal need much convincing. Leaders from U.S. allies Britain, France, and Germany (as well as many other nations) have been strongly urging Trump to honor the agreement, to no avail. On Monday British foreign secretary Boris Johnson made an apparent last-ditch appeal to Trump, appearing on his favorite show, Fox & Friends. “We have to be tougher on Iran and we’ve got to fix the flaws in the deal,” Johnson said. Despite Zarif’s insistence that there will be no renegotiation, several European leaders have suggested that there may be ways to tweak the agreement enough to salvage it. During his state visit last month, French president Emmanuel Macron spoke of a “new deal with Iran.” That appeared to be an effort to rebrand diplomatic efforts already underway in the hope of placating Trump. There’s no sign that these efforts are working on Trump, and if he does reimpose harsh U.S. sanctions, it’s hard to see how the JCPOA can be saved. European companies are not going to violate U.S. sanctions, and that will bring more economic hardship on Iran, giving them little reason to stick with the deal. Europeans are concerned that even if Iran doesn’t quickly reinstate its nuclear-weapons program, Trump withdrawing from the deal could further destabilize the region by emboldening Israel in its conflicts with Iran in Syria and Lebanon.